These are very quick and easy to make especially when you do a few pairs at once. I didn't add the buttonholes and drawstring and I didn't have the right width elastic so I just used what I had and sewed a line of stitching below and above it once I had put it in. I think I will be making a pair of Hudson Pants for myself soon. I agree Kate, absolute winner of a pattern. I made both my girls a woven pair for summer & they love them. Your lovely versions have reminded me to make some for autumn soon! Wow what comfy looking pants. I think I would wear those too. Love them! The girls look so cute and comfy. I've had the grownup pattern for a while but not made it up yet. 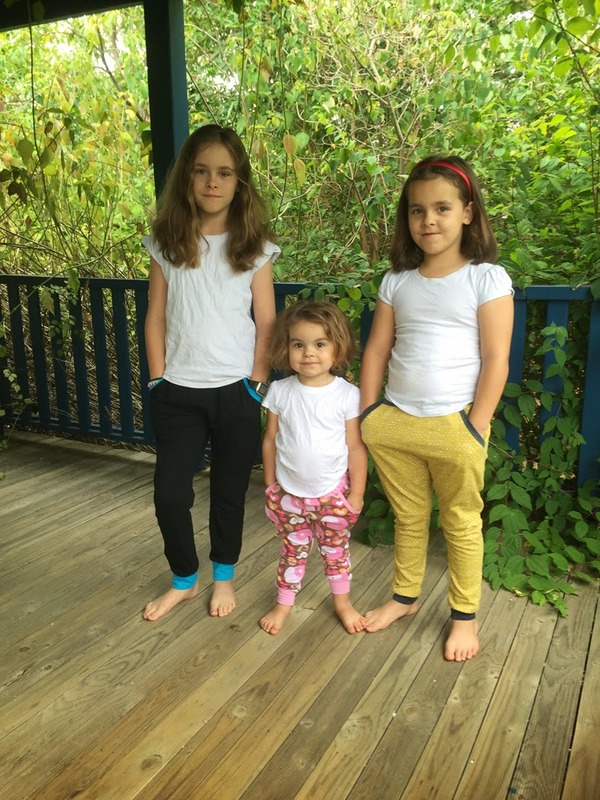 Cute kids, great pants, clever mum! 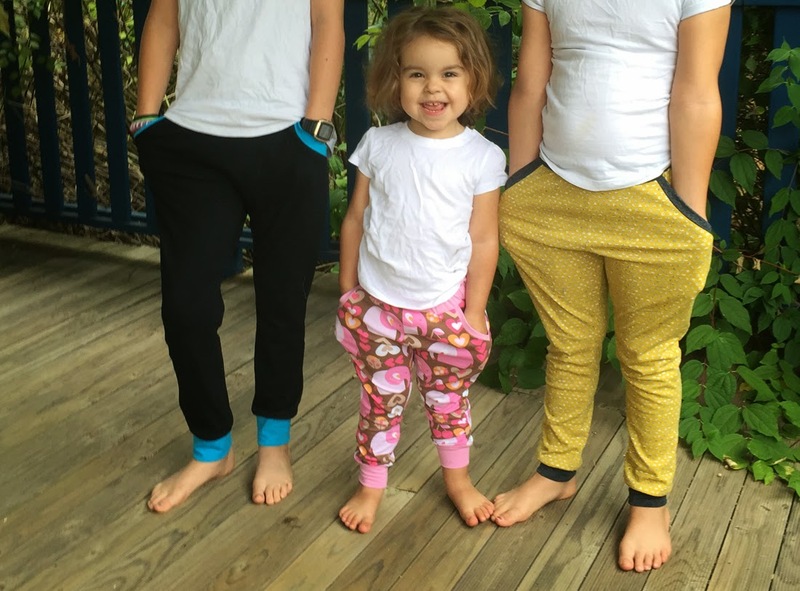 This kids are cute and they even look more cute and happy in this pants..liked it! !